For its second year, the Construction Rodeo in Morganton, NC pitted local high school teams against each other in construction challenges. 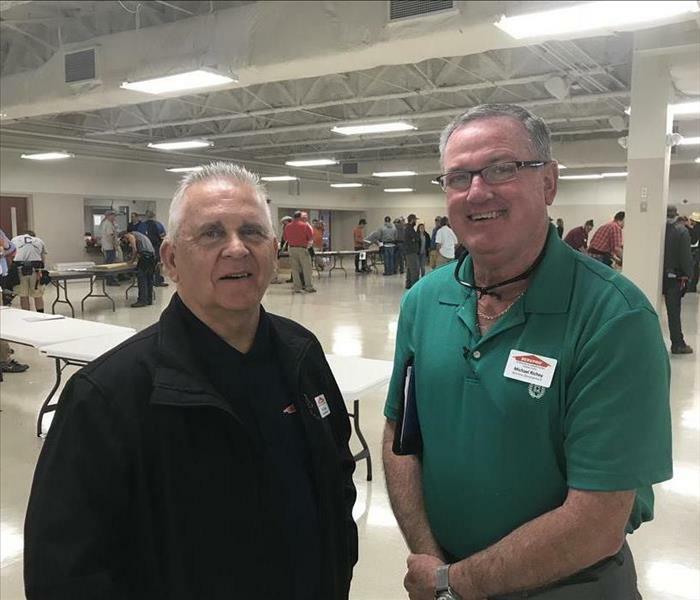 SERVPRO of Burke County served as a sponsor for this event! Each year, Morganton's Downtown Development Association throws its ACC Chili Cookoff. Community members stop by to try many different chilis and watch a game from the ACC quarterfinals. This year, our own Mike Casey served to-go cups to attendees! We believe it's important to celebrate the businesses that open their doors in our community. 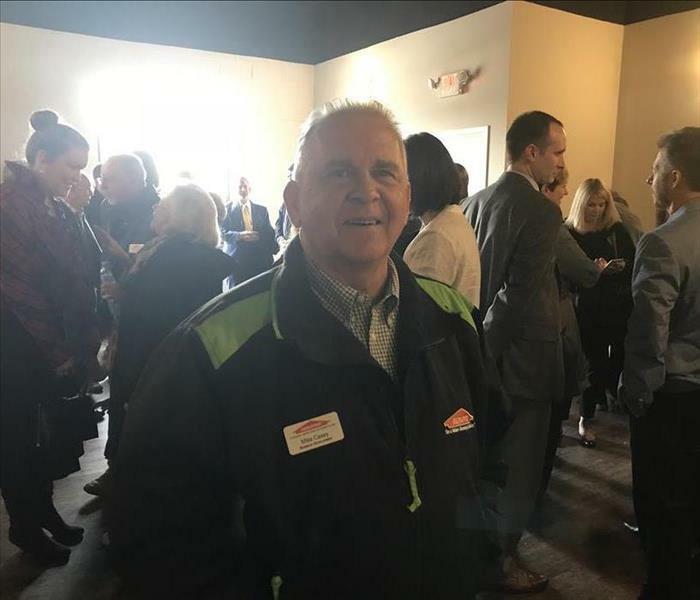 That's why we have ambassadors with the Burke County Chamber of Commerce who attend ribbon cuttings and other important ceremonies! 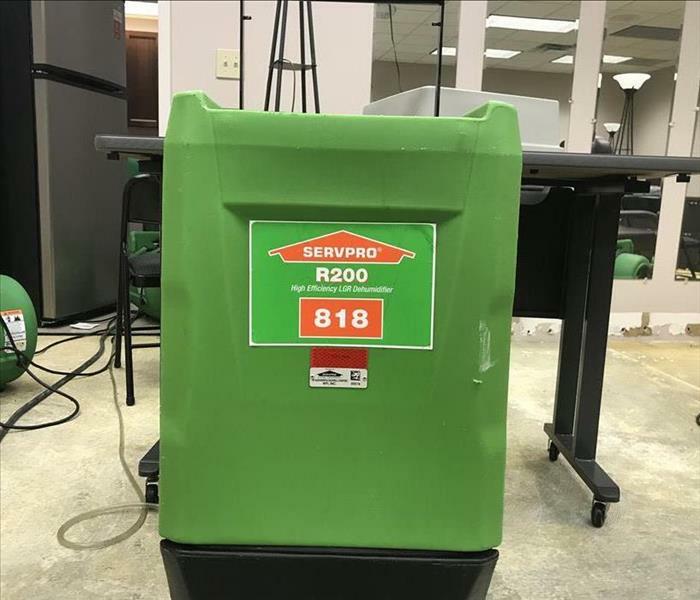 At SERVPRO of Burke County, we believe in participating in local organizations and civic groups, such as the Ruritan Club. This year, our very own Mike Casey was chosen by his chapter to be the Ruritan of the Year! As community members in Burke County, we strongly support our public school system. 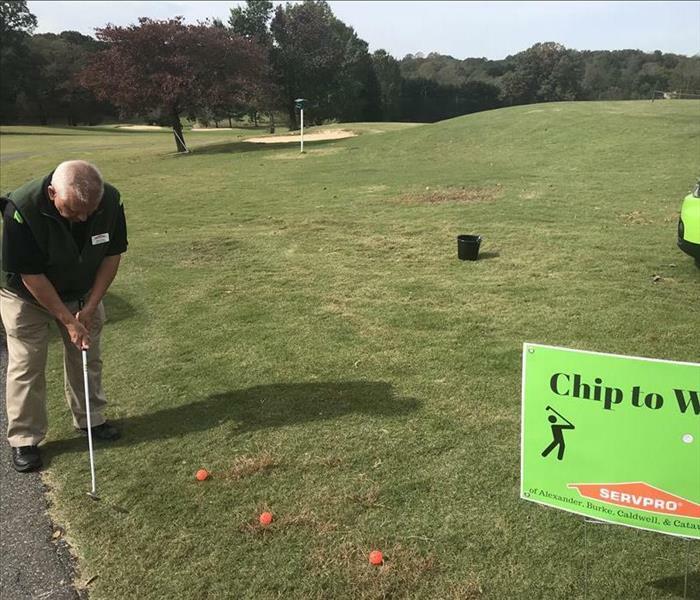 That's why we sponsored and participated in the Burke County Public School's annual golf tournament. At our booth, we also set up a chipping contest! 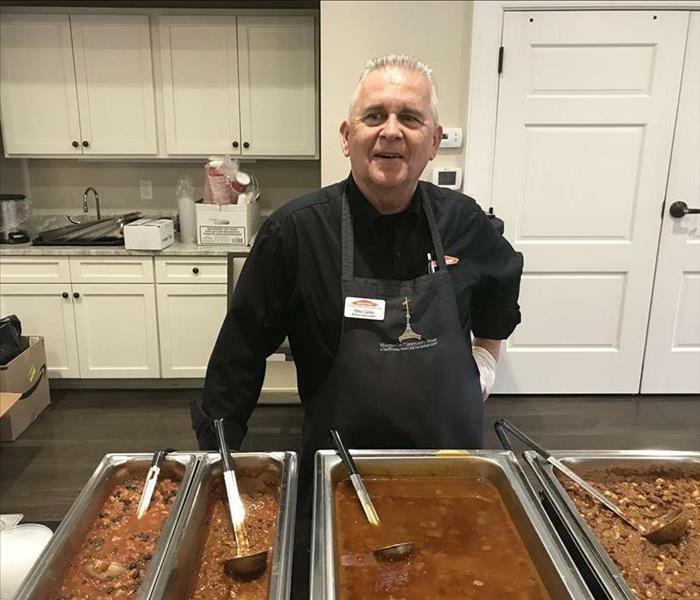 Each year, the Downton Development Association in Morganton hosts their ACC Chili Cookoff. In addition to offering a lot of great chili, they also show the ACC game! 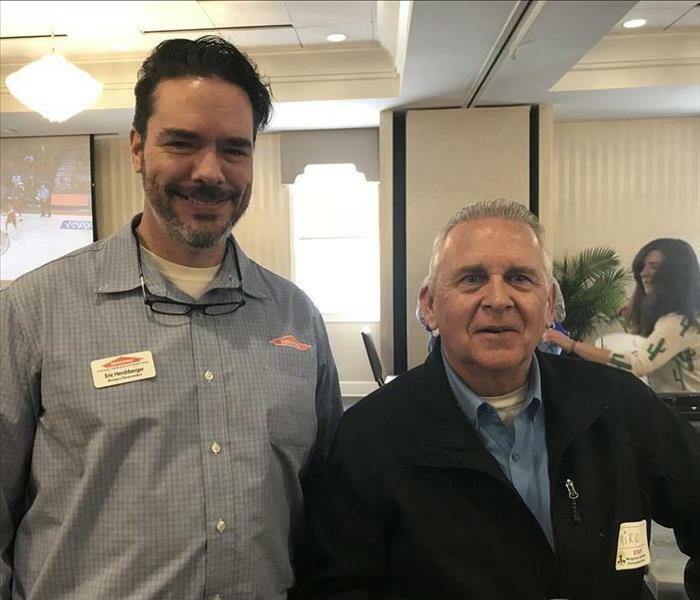 Our two local marketing representatives attended! We entered our own team of golfers into the annual golf competition. They didn't win, but they sure had fun! 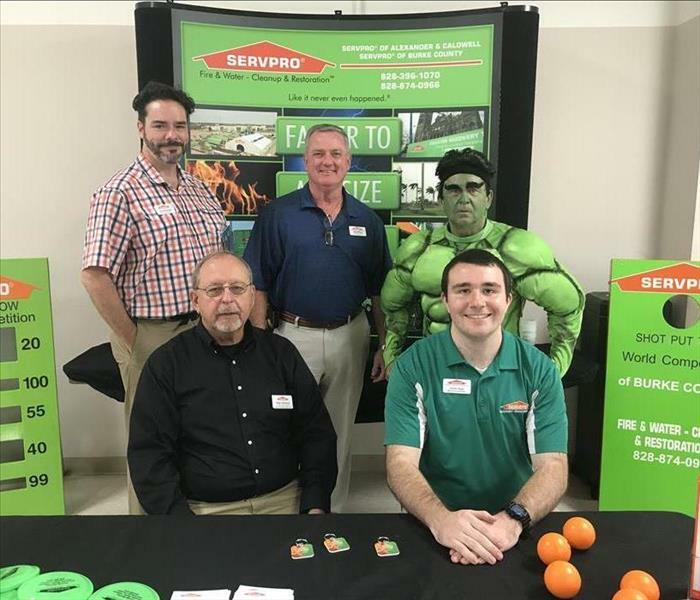 The marketing team attended this year's Burke County Chamber of Commerce's Business Showcase! The theme was World Games, so we brought shot put and discus throw challenges along with our green SERVPRO champion!